It must have been an interesting time musically during the closing years of the eighteenth century and the first few decades of the nineteenth. Music had moved away from the royal courts and much more into the public arena; orchestras were gradually becoming larger and an increasing number of composers were being influenced by the growing movement of Romanticism which flourished all over Europe, especially during the second half of the century. During the early years of the nineteenth century, baroque music as far as the general public was concerned, was dead and gone. The elegant eighteenth century classical styles of Haydn and Mozart must have seemed increasingly old-fashioned because the new era was giving way to bolder and more individual styles. It must have been quite a challenging time for composers, because audiences expected something new and innovative, though not too new. Conservative music critics were only too willing to pour scorn on new works perceived to be “too modern”. Even Beethoven’s Eighth Symphony was described by one critic as “eccentric and laborious”. Indeed, some composers were slow to gain success and it was only with stolid determination and sheer willpower that they managed to achieve anything at all. One of these was Daniel François Esprit Auber, who was the son of a Paris print-seller. Auber (oh-BEHR) was born in Caen in Normandy and his father expected him to continue in the print-selling business, so at the age of twenty Daniel was packed off to London for business training. Either the training was inadequate or perhaps Daniel simply didn’t have a head for business, but he wasn’t particularly successful. He instead returned to music composing. It was not an auspicious beginning. His first opera Le Séjour militaire had a poor reception and his second one, several years later was no better received than the first. Having slogged away at two unsuccessful operas, most people would have called it a day and found some other way of occupying their lives but Auber was clearly not the sort to give up easily. In the following year of 1820 he attempted yet another opera, La Bergère Chatelaine and no doubt to his delight and relief, it was a huge success. It was a milestone, for it turned out to be the first in a long string of operatic successes which brought the composer fame and fortune. Although today Auber and his music have fallen pretty well into obscurity, at the height of his career he was a household name. In 1828 came his equally successful opera La Muette de Portici. The title “The Dumb Girl of Portici” doesn’t translate elegantly into English and it must have seemed odd to write an opera around a central character who is unable to sing. Auber neatly got around this problem by giving the leading role to a ballerina rather than a singer and the opera consequently includes substantial sections of mime. Portici in case you’re wondering, is a small coastal town five miles outside Naples near the foothills of Mount Vesuvius. The setting of the five-act opera is Naples in 1647 and the story takes places against the historical background of the local revolt against Spanish rule. When the opera was performed in Brussels in 1830 it sparked a riot which became the starting point for the Belgian Revolution. The opera was significant because it was the first French “grand opera”, a theatrical style that sets a fictional drama within a historical context and uses a large chorus, spectacular scenic effects and ballet sequences. As a child, Ferdinand Hérold had a promising start to his musical career, but in later years received more than his fair share of operatic failures. Perseverance in the face of adversity got him through. 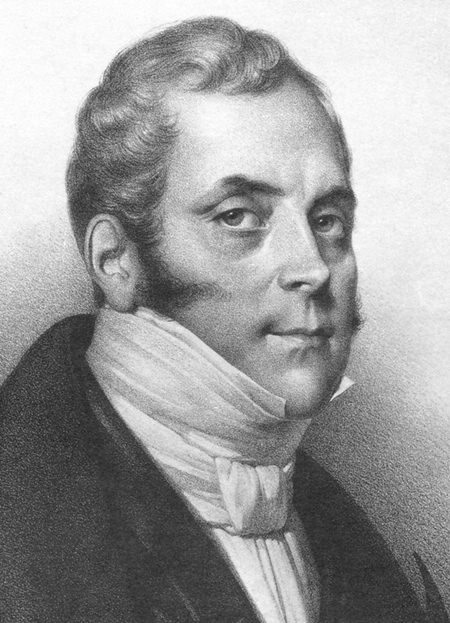 His opera Zampa was one of his major successes and was premiered in Paris in 1831. Over the ensuing forty years it was performed over five hundred times. The opera itself has faded into obscurity but the overture is still often played. Along with the ballet La fille mal gardée it’s one of the composer’s best-known works. This video, recorded in Zurich is one of the few available in ultra-high definition. At this resolution the picture quality is strikingly realistic and the stereo sound quality is also superb. However, unless you have a fast fibre optic connection and a really decent processor in your computer, you’ll have to settle for something less. Like Auber, the name of Ferdinand Hérold is barely recognised today but this delightful overture shows that he could certainly produce the goods.